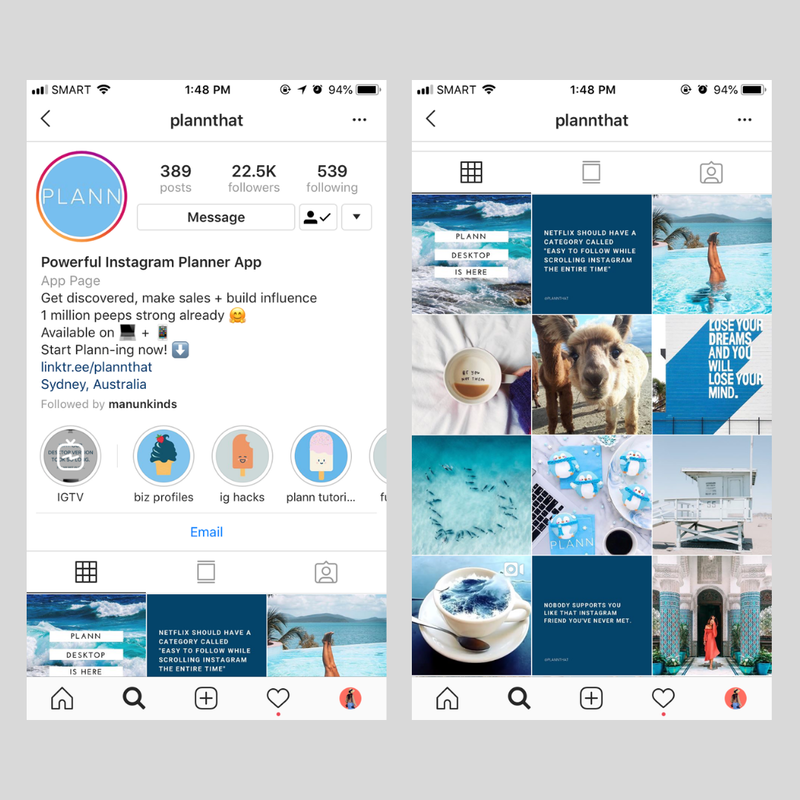 Here are my thoughts about Plann's Complete Instagram Suite - a desktop/mobile tool for Instagram planning, scheduling and analytics for beautiful brands. 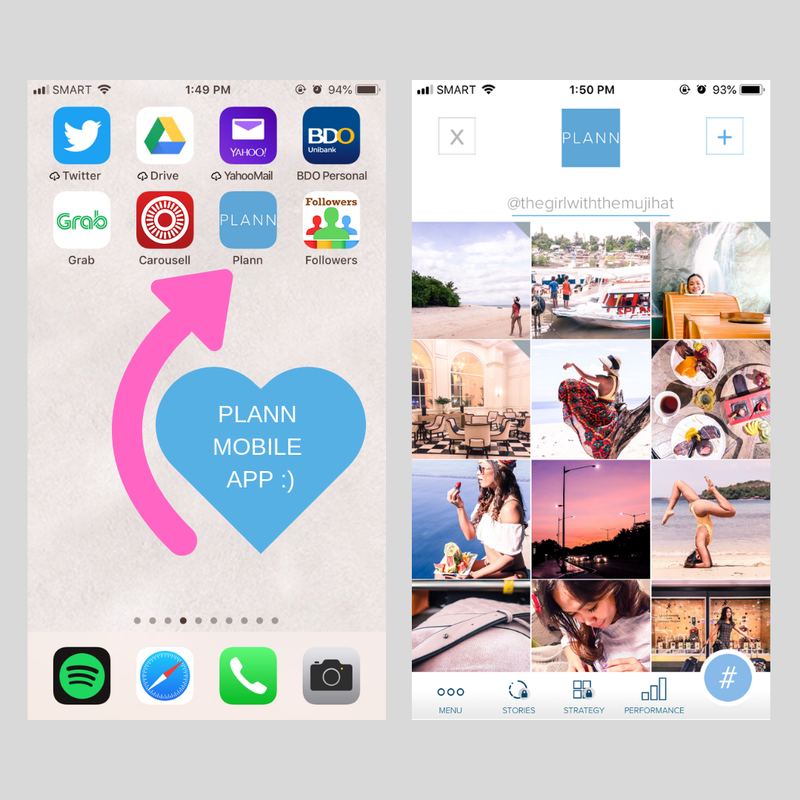 I've used some productivity apps both for social media post planning and blogging, and the best one so far is Plann. I have been following Plann for a while now. I came across their blog months ago when I searched for Instagram tips online. Visually, I thought their site is impressive. I didn't mind clicking from one post to another because the design is eyeful. Also, Plann's articles are written by people who really know what they're talking about. So, after reading a few contents, I was hooked. On Plann's blog site, I learned useful tips about content creation, how to gain more followers, and other practical tips like "how to promote on Instagram without annoying people" or how Instagram pods affect your account engagement. Plann has instructional materials I found really helpful such as their 10 Minute Masterclass Video Series. These ten videos in 10 minutes are value-packed video series that helps you "refresh and refocus for Instagram growth". The videos are relatable, easy to watch, and direct to the point. After a few days of stalking their blog and IG account, I decided to try Plann Mobile App. I haven't stopped using this app since to schedule my IG posts and curate my feed. 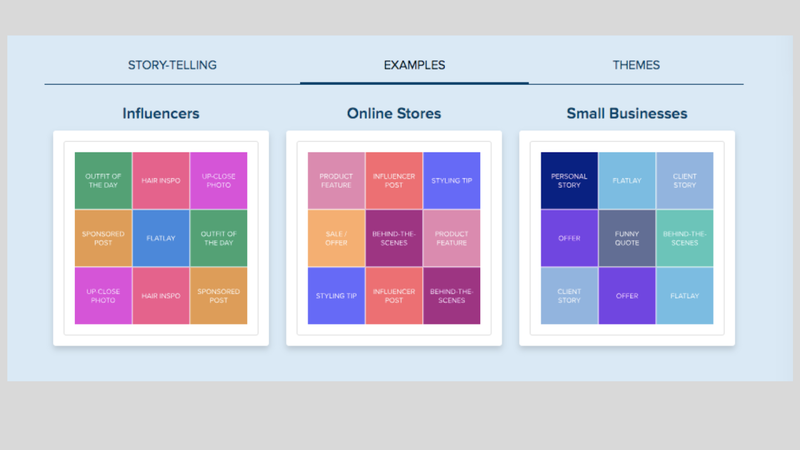 It's got all I need: intuitive tools to create seamless grids, strategic post planning, and image editor. So when Plann Desktop was finally launched this week, the productivity nerd in me felt the need to try it. I’ve been using it for 2 days now and have been generally impressed and grateful for its presence. I want to talk about the three things that Plann Desktop does extremely well and maybe help you decide whether it would be useful for you too. As I have said, I am always using my desktop and a desktop Instagram scheduler is handy. Most of my photos come from my desktop anyway! 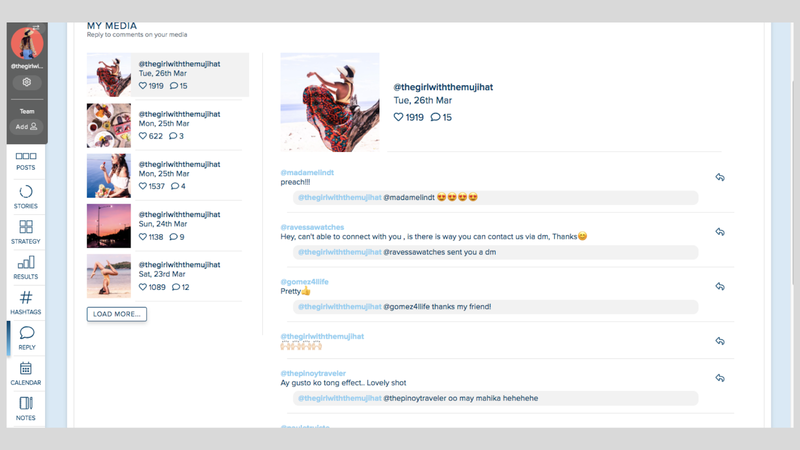 With Plann Desktop, I am a few clicks away from setting up my weeklong IG feed and I could conveniently type captions, manage hashtags, drag and drop images with my keyboard. 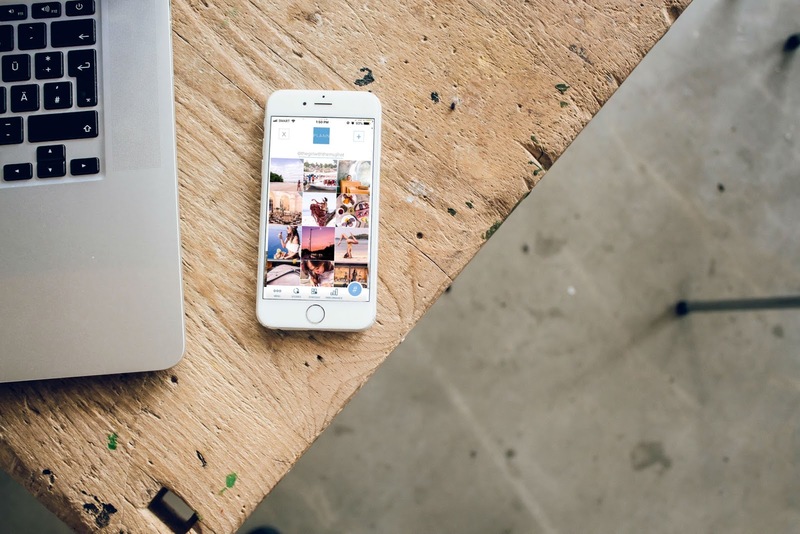 Instagram is not an online portfolio, it’s a community building and story telling machine. By telling your brand story, you’ll create advocates and humanise your brand quickly and effectively. People buy from people! Showing your brand as human with real dreams, visions and aspirations and your motivations behind why you wake up everyday makes you much more relatable. Plann Desktop is a clever drag-and-drop workspace. With it, you can create custom media collections and stay focused on top of your content plan. This feature is very important to me as I intend to do "well-thought" planning. I admire Instagram accounts that are curated beautifully—those that evoke a sense of creativity and love from their output so thanks to Plann Desktop, I can seamlessly arrange (and re-arrange) my Instagram profile with a beautifully simple drag & drop scheduling workspace. 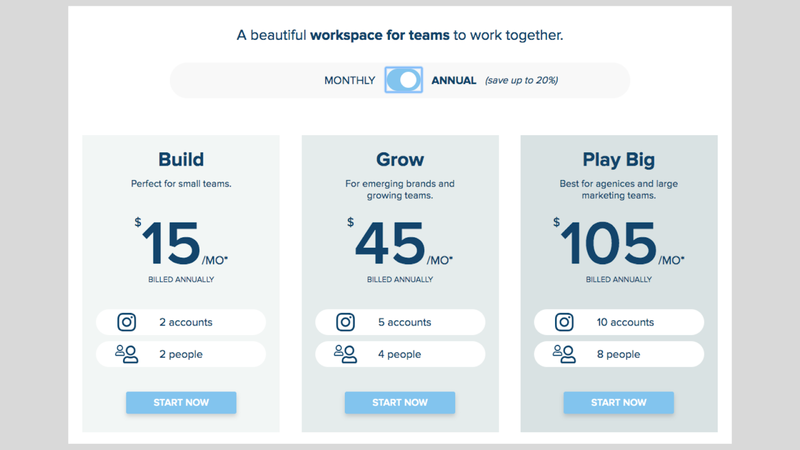 If you are a business with team, you can share the social media load with a team to help manage, schedule, caption and post to Instagram together. You can master your key marketing metrics with Plann's advanced Instagram analytics. With the information such as the ones you see from the photo above, you can discover your fastest path to success. One of the best features of this software is the hashtag management. 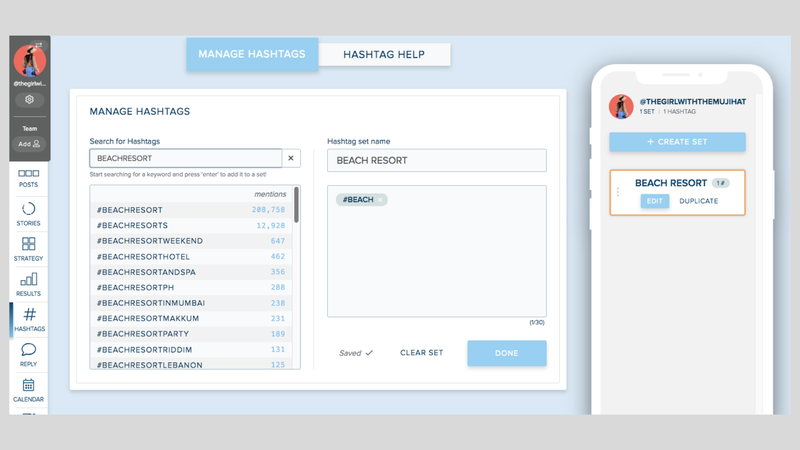 With this, you can create sets of hashtags and learn which tags can give you the best reach, have them ready at crucial posting times. 1. Use 30 hashtags, yes, 30 hashtags. Using a hashtag with over 1M mentions will be hard to get noticed unless your engagement rate is spectacular to land you in the top 9 grid! A competitive space but with great content and great engagement you'll get good traction here. With great content you'll get targeted interaction in a hashtag of this size! Use smaller tags (even below 50k!) for pointy, targeted niches that could see your content being seen over a few days - rather than a few hours! Plann doesn't only tell you the statistics, but also recommends using hashtags that have between 250k - 750k. The better your engagement when you post, the higher your chances of ranking in the ’Top 9’ for that hashtag. With this feature, you can create a standout grid with stunning image filters, overlays, borders and text overlay tools all in one beautiful place. Create your own posting strategy with themes to tell your story, or be guided by Plann to learn what keeps your audience coming back. 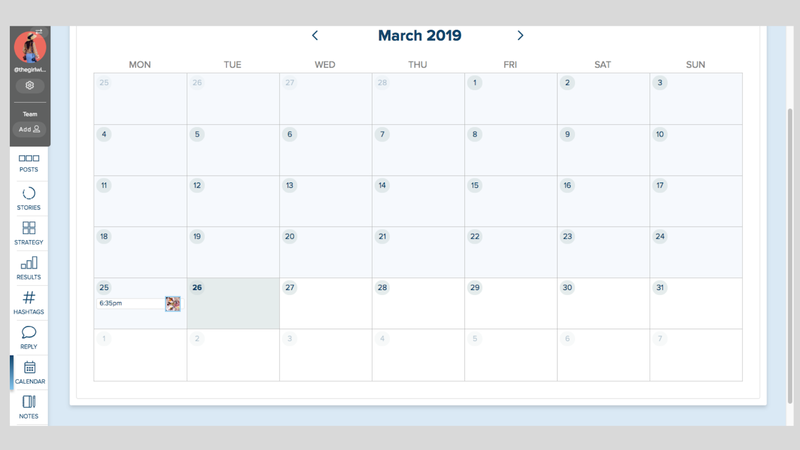 With this feature, it is easy to review entire weeks, or months as a calendar-- have a look at your organised/ scheduled posts and stay on track of a productive schedule. 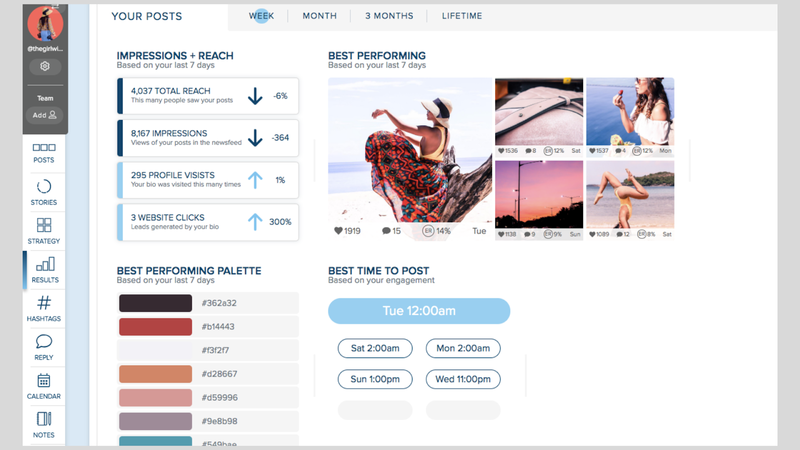 When it comes to convenience and affordability, Plann Desktop is one of the best Instagram post organizers around. 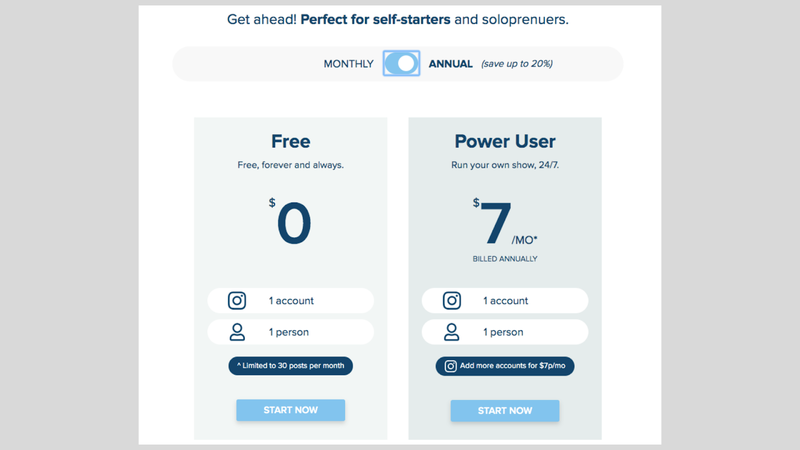 It's currently priced at 0USD to 7USD per month for single accounts, which means you can use it for free. It also means it is a good deal if you've been worried about which Instagram app to try first. Similarly, paying the 7USD monthly fee for an upgraded account doesn't hurt especially when you consider the benefits that you'll get out of it. 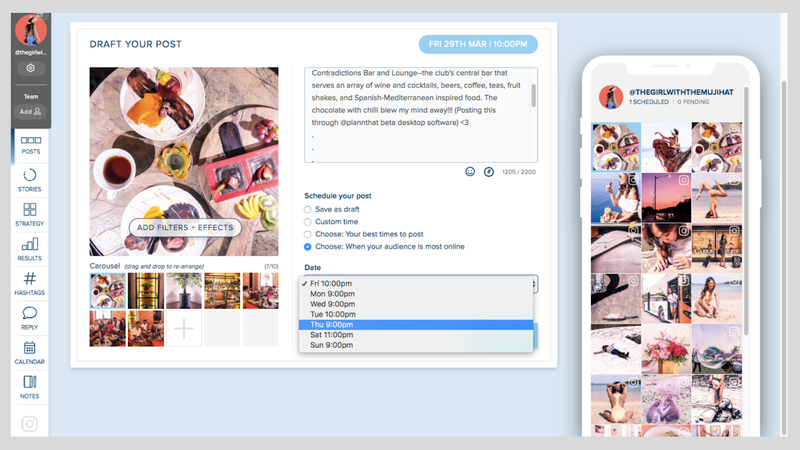 Plann Desktop is a powerful tool to help you grow your Instagram with convenient clicks and reads on your desktop. It has effective features that are dedicated to helping you increase followers, get your brand discovered, optimize your posts for engagement, and maximize your reach. 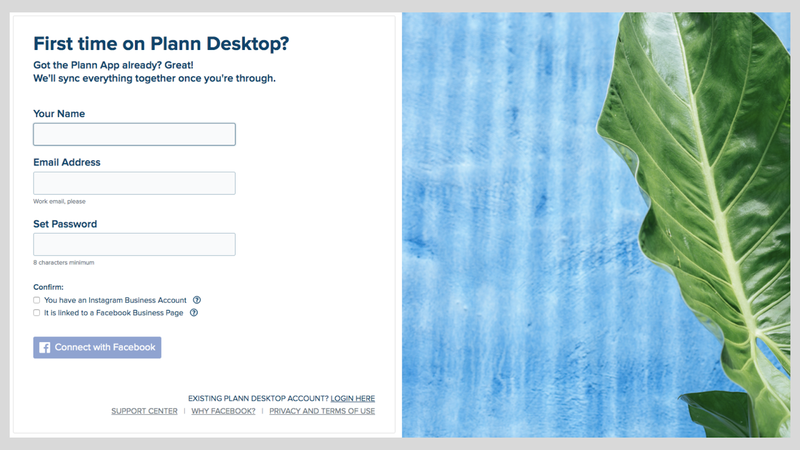 Upgrading your Plann Desktop account is definitely not throwing USD7 to the wind. What do you think about Plann Desktop? 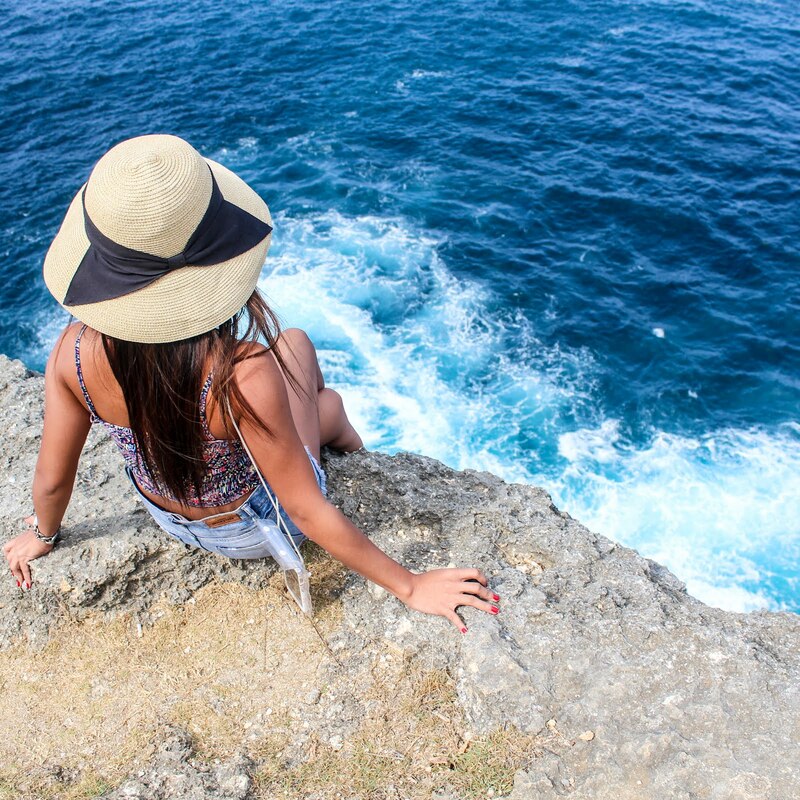 Do you want to use it to up your Instagram game? Let me know in the comment section below! Thank you! And if you know others who'd be helped by this post, please do share!